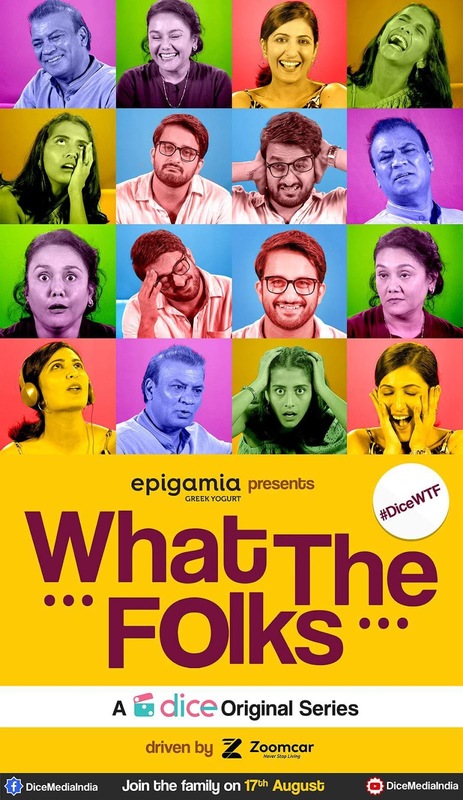 Dice Media ,Web channel of Pocket Aces, is set to launch its new web series ‘What the Folks!’ (WTF! ), which will premiered on Facebook and YouTube on 17 August 2017. Directed by two-time National Award winner Ruchir Arun, the show has been written by Anand Bhardwaj and Ayesha Nair. The music in the series has been created by Neel Adhikari, a well-known independent musician who also composed the popular original soundtrack of ‘Little Things’. The series encapsulates the familial struggles of Nikhil, a young man who is forced to live alone with his in-laws for a few weeks. Nikhil’s bittersweet interactions with his wife’s family provide for humorous situations that will be highly relatable to today’s youth. WTF! is a journey of how modern families are breaking stereotypes, overcoming generation gaps, and growing to love one another, in spite of often having starkly different world-views.